CS Video: Luke Evans on Dracula Untold and th..
CS Video: Targoviste and the History of Dracu..
Video: Explore Dracula Untold’s Real-Li..
CS Video: Explore Dracula Untold’s Real..
Who Was Charles Dance’s Character Originally Supposed to Be in Dracula Untold? The following contains spoilers for Dracula Untold and talks about specific characters as well as a character who never made it to the screen. If you haven’t seen the film yet, don’t say I didn’t warn you. 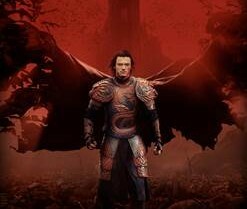 Dracula Untold marks the end of a long journey for the script formerly known as Dracula: Year Zero. Its progress has been well chronicled here at Shock, since the film has been in development since the birth of this site back in 2007. Initially, it was going to serve as a directing vehicle for Dark City and I, Robot’s Alex Proyas and, for a spell, Sam Worthington was circling to star as Vlad (aka “Dracula”). 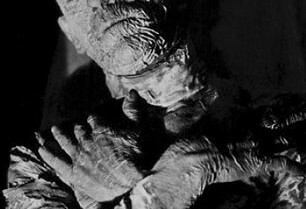 Welcome to a new world of gods and monsters… Okay, so I’m putting a slight spin on a famous line of dialogue drawn from an entirely separate Universal monster series, but I think its use is appropriate. With Dracula Untold, there is a very clear start here to the long-discussed series of Universal films introducing audiences to a “shared monsters universe” (hence the aforementioned reference to a “new world”). 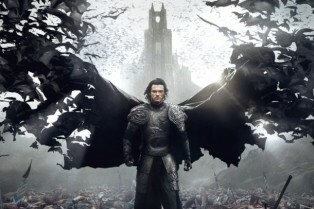 And if this film is any indication, Universal has a very different idea of what its stable of horror characters should be today…because this Dracula tale is a tragic superhero story and under the direction of newcomer Gary Shore Dracula Untold has a lot of problems in style and logic. Too bad. Because I liked the core of the story. 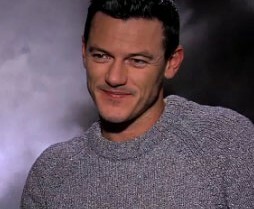 Shock Video: Dracula Untold Director & Cast Interviews! 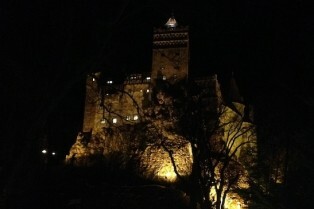 When I visited the set of Dracula Untold about a year ago (read reports part 1 and 2 here), we missed out on the opportunity to speak to director Gary Shore. Our contributor Ed Douglas dropped in on the NYC junket for the film – opening this Friday, October 10th – and caught up to not just Shore but stars Luke Evans and Sarah Gadon as well. Click on the player here for their interviews and learn more about this origin story that focuses on the infamous bloodsucker. 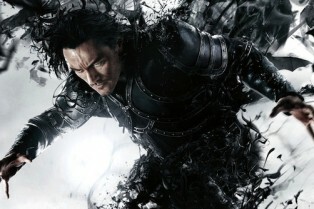 Bite Into Four Clips from Dracula Untold Now! 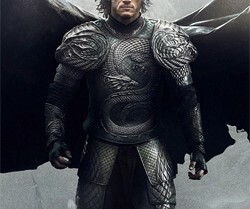 With Dracula Untold arriving in theaters this Friday, Universal has released four new clips from the supernatural-actioner starring Luke Evans. When Alex Kurtzman and Chris Morgan revealed they were doing to flesh out a “shared universe” film series steeped in the world of Universal’s classic monsters, the question many of us had was: How will Dracula Untold fit into it all? And that was certainly a valid question since the movie was developed well before Kurztman, Morgan and Universal teamed up for their monsters initiative. An answer hit via Badass Digest recently when colleague Devin Faraci learned that some reshoots on Dracula Untold took place so it can lay the groundwork for the shared universe. Following the first clip earlier this weekend, Legendary and Universal have released a new extended TV spot for Dracula Untold which you can watch below! 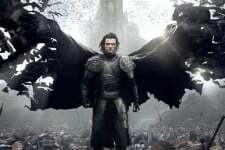 Starring Luke Evans, Sarah Gadon, Diarmaid Murtagh, Dominic Cooper and Samantha Barks, Dracula Untold opens in 2D theaters and IMAX on October 10. Evans stars in the origin story of the man who became Dracula. 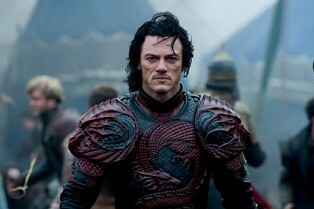 Vlad Tepes (Luke Evans) meets Caligula (Charles Dance) in a new clip that has surfaced online for Dracula Untold. This is the first snippet to come from the supernatural action-thriller which hits theaters on October 10th. Nothing too drastic. 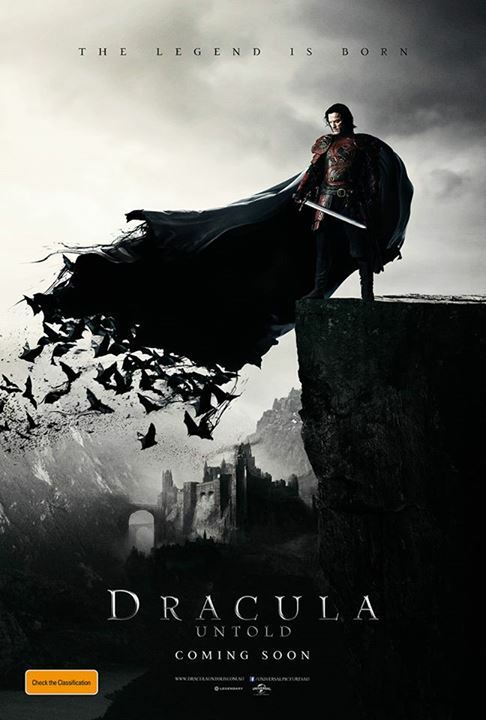 Universal reps are telling us today that Dracula Untold is moving up a week to October 10th. Other horror titles opening that week include The Canal and The Devil’s Hand (both getting debuts in select theaters and on VOD). Directed by Gary Shore, the action adventure stars Luke Evans, Sarah Gadon, Diarmaid Murtagh, Dominic Cooper, Samantha Barks. Evans stars in the origin story of the man who became Dracula. 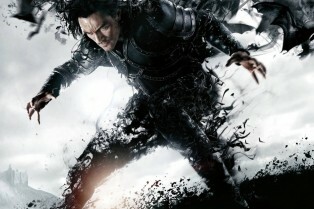 In a little over a month, Universal is going to bring Dracula back to the big screen in the origin tale Dracula Untold. The film opens on October 17th and, this morning, we’re getting a look at some new footage via a Japanese trailer that has hit the web. Watch it here. Directed by Gary Shore, the action adventure stars Luke Evans, Sarah Gadon, Diarmaid Murtagh, Dominic Cooper, Samantha Barks. 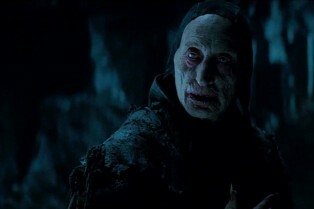 Evans (Fast & Furious 6, Immortals) stars in the origin story of the man who became Dracula. 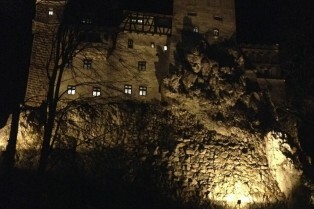 Dracula Untold, Universal’s big October release, is getting a tie-in at Halloween Horror Nights Orlando and Hollywood. Attendees should look for the “Dracula Untold: Reign of Blood” maze at both locations this fall. Editorial: What Does a Shared Universe Mean for the Universal Monsters? I love me some Universal classic monsters. They were my gateway drug to horror. My original boogeymen. My safety blanket growing up. And now they’re reportedly getting the “shared universe” treatment, meaning, we’ll see a string of films go into production that will act separately but sprinkle seeds that they’re part of an interconnected, creature-filled world. Will they build to an event film a la The Avengers? Perhaps, and I have my suspicions as to what that will be. Let me throw out some thoughts knocking around in my head about this whole venture spearheaded by Alex Kurtzman, Chris Moore and Universal. When Dracula Untold arrives in theaters October 17th, it will tell more than just the origin story of the greatest vampire of all time, it will focus on a family and what one man would do to protect his wife and son; it will focus on a wife who watches her husband transform into something sinister; and, it will focus on a childhood relationship that drives one man’s jealousy and anger. 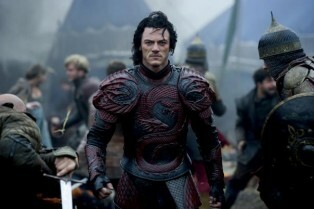 When Shock Till You Drop visited the set of Dracula Untold in Belfast, Ireland in the fall of 2013, we spoke to the three actors driving the film’s dramatic themes: Luke Evans as Vlad Tepes, Sarah Gadon as his wife Mirena and Dominic Cooper as Mehmet II.